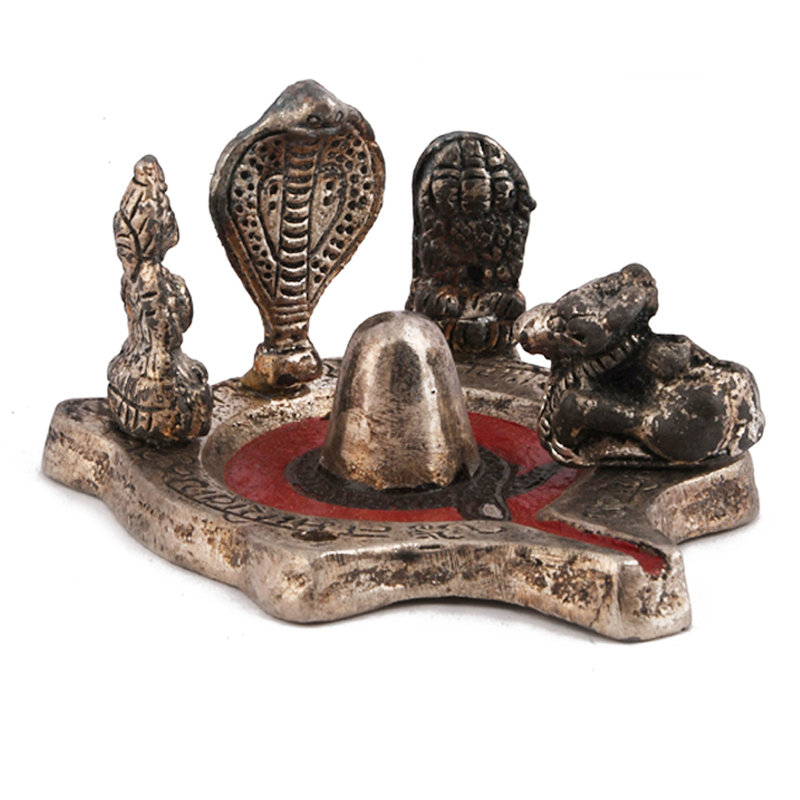 This idol of lord shiv, made from oxidised metal can either be a parft of your puja set, or can be used as a show piece. 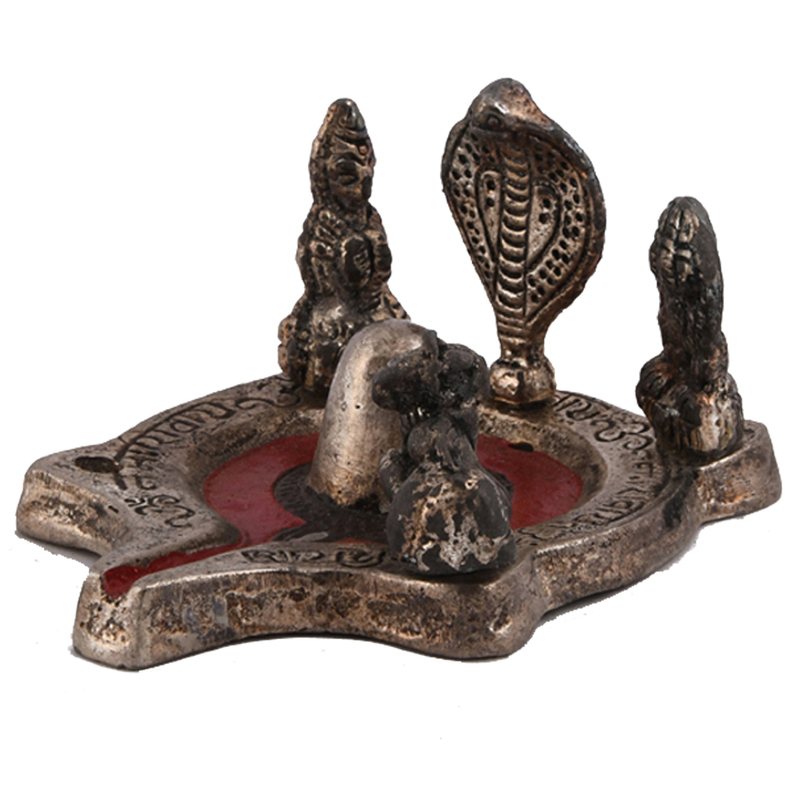 This small idol of lord shiv is totally made from oxidised metal. There are three figurines in this idol set, all sharing the same base. 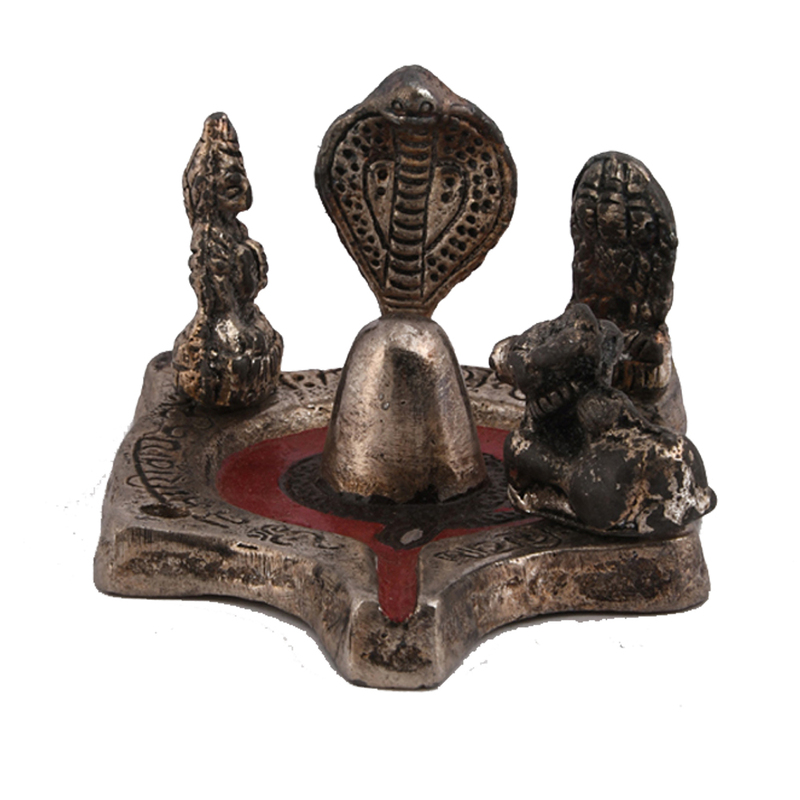 Read More..Two carvings of lord shiv’s human form are placed on two sides of this set, while in the centre, there is a shiv-ling with a carving of a cobra on top. The centre of the base is carved out a little more so that there is pace for milk of water to be poured. The indented carving has a red painted outline so that it can be spotted easily. Show Less..